Every year, a multitude of bands, vendors, and music lovers come together to listen, experience, and bond over the tunes that form the soundtrack to our lives. If you’re looking to experience a music festival with your friends, use these tips to get the most out of your musical adventure. With so many festivals being held across the world, it can be difficult to decide which one is right for your group. Ask these questions to narrow down your choices. What kinds of music do you enjoy? Many festivals are organized around a specific genre. How far are you willing to travel? If plane rides or long drives are out of the question, pick a destination that is closer to home. How much time do you plan to invest? Some festivals last several days. Including travel time, you could be committing to an entire week away. Check your schedule before deciding which venue is right for your group. When you do choose a festival, spend some time with your group mapping out the bands and attractions you don’t want to miss. Multi-day events usually offer a variety of overnight accommodation options to fit every budget range. Pick the one that fits your group’s style, preferences, and wallets. Tent camping is one of the most cost-effective options. However, these spaces require that participants use shared bathrooms and showers. Privacy and security can also be an issue. RV camping lets you enjoy many of the comforts of home while you’re on the festival grounds. Some lots even offer water, sewer, and electrical hookups. Once again, privacy and security could be a problem. Local hotels go out of their way to make music festival groups comfortable. Talk to hotel representatives about group discounts and max out each room’s occupancy for the best deal. Some festival organizers offer hotel accommodations in their ticket packages. This isn’t always the best deal. Call around to hotels in the area to find the most pleasing prices. The party doesn’t start at the festival gates. 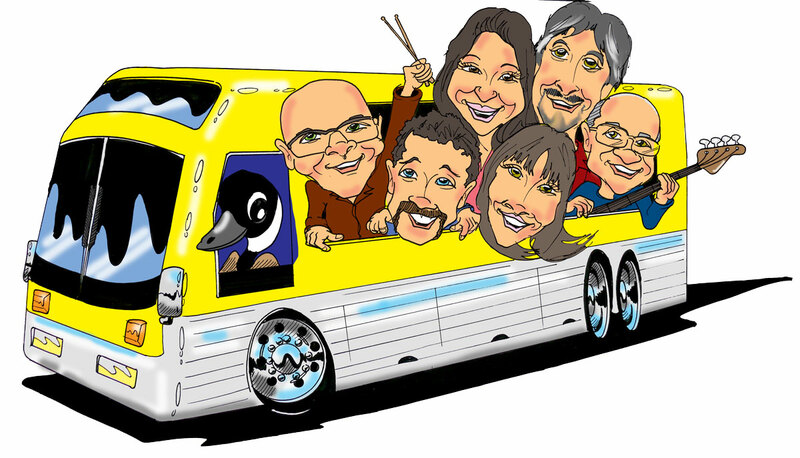 Rent a charter bus to deliver your group to the venue. In addition to lowering each person’s individual travel costs, a charter bus offers numerous benefits to mobile partygoers. Choose a coach with a built-in bar so you can pregame in style. Bring everyone up to speed on all the bands you’re going to see with an onboard integrated sound system. Televisions and DVD players let you see your favorite bands in action, so you can build up excitement for the big event. You’ll also need a bus with a bathroom to reduce unscheduled stops due to overburdened bladders. Music festivals are a great way to unite your love of good friends, great music, and explorative travel. Incorporate these tips into your planning sessions for the best friends’ trip ever. Planning a group trip to a music festival? Use these tips to ensure your whole group experiences maximum fun!